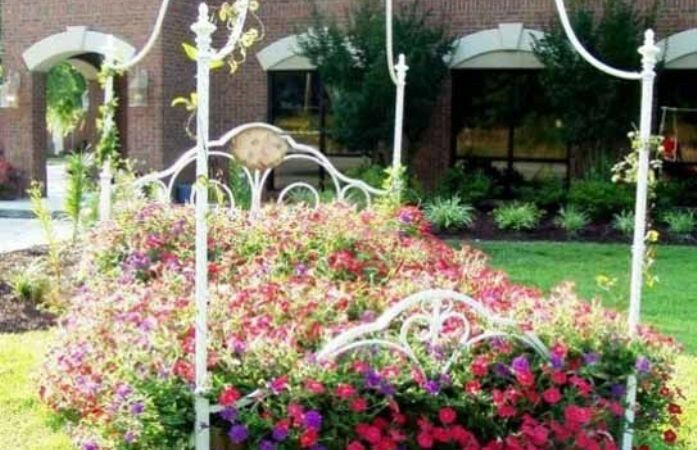 Sometimes disposing your old bed that holds a lifetime of memories can be difficult. Even if it means that we are uncomfortable sleeping in a rickety heap of metal or wood, holding on to it can be more important than letting it go. However, once you have made the decision to let it go finding a new purpose for that most treasured possession, your adored bed; can be fun giving it a new lease of life. After disposing of a bed that I have had for over 20 years, I found it really difficult letting the dustman take it away and wished I’d had a project in mind that I could have used it for. It got me thinking about how many ideas you could upcycle your old bed frame for and I wish I had seen the ideas below before letting it go on the fastest dustcart in the east! So to save you the same heart ache, my first port of call for ideas was Pinterest. There were lots of ideas on how to recycle an old bed frame for the home and garden, and I wanted to share my favourites with you. 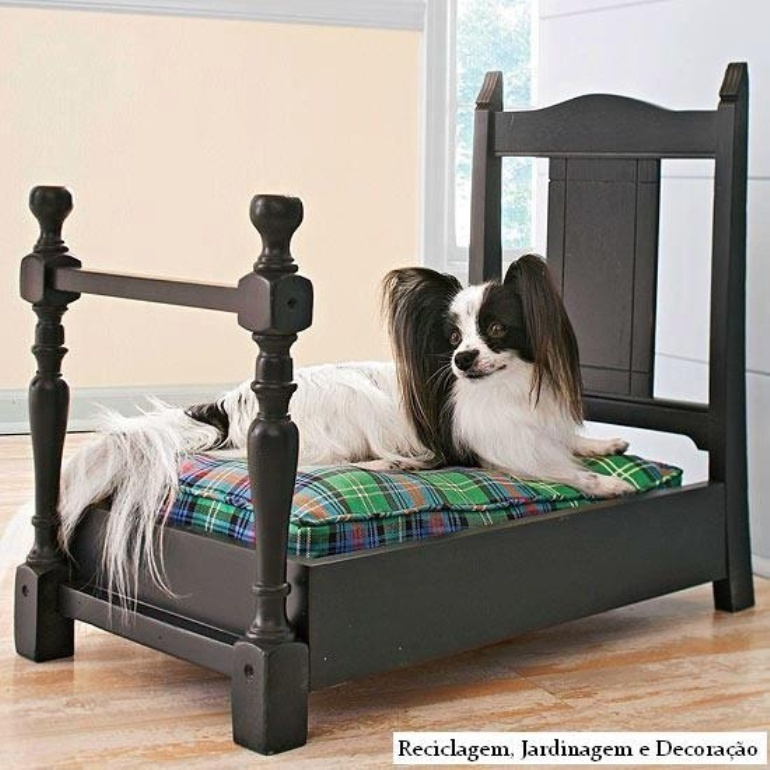 The head and foot board of this bed from Paintedtherapy have been used to make a great seat. There are many variations on this using a metal framed bed. I think they look great and with the finials give them a grand look once painted. 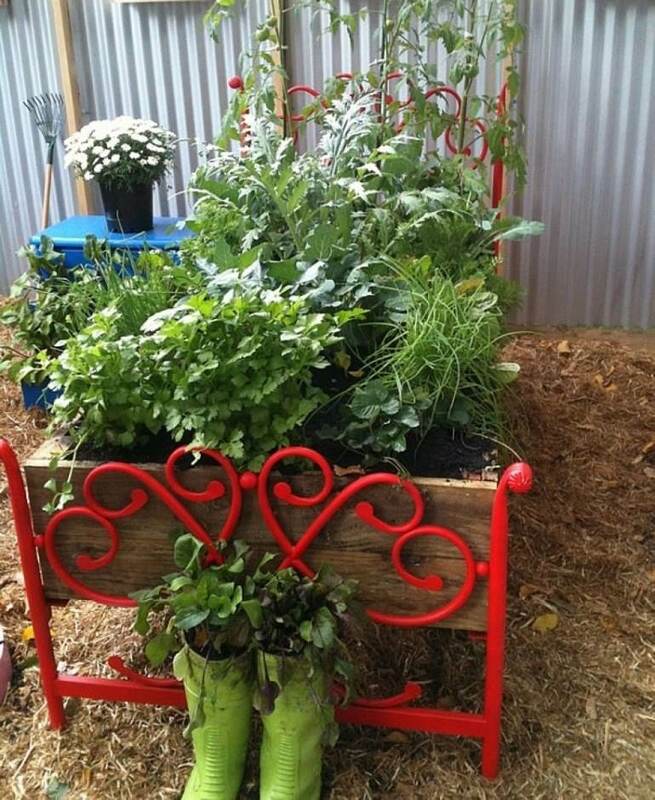 This is my favourite idea for recycling a children’s bunk bed from GrowVeg.com. It is a great way of doubling up on space if you have a small courtyard. Dual purpose with a sitting area below and a planting area above, is a great idea! These straight bed springs from funky junk interiors have been used to hang items on. 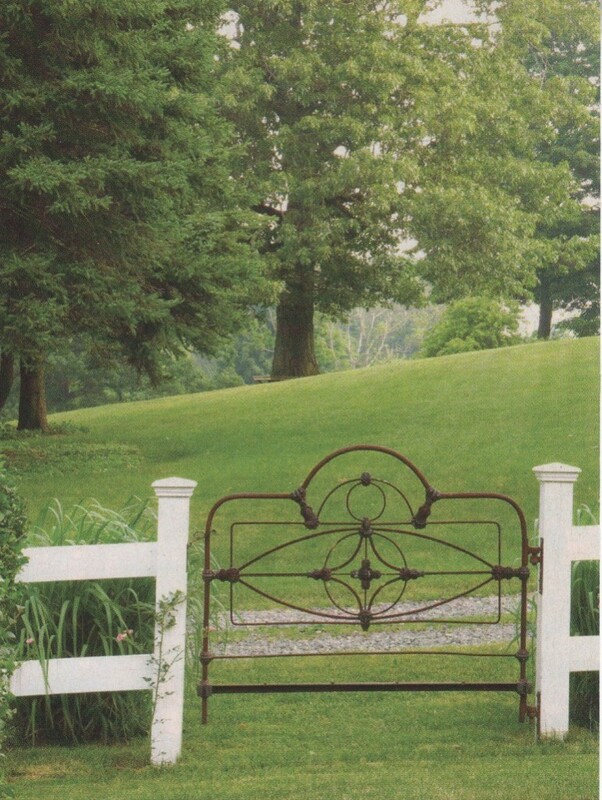 An ornate metal bed head is used as a garden gate looks very inviting. With a little imagination even this old metal bed frame from inhabitat.com with a woven sitting area can be made into a seat. It does not matter what size the bed is, when filled with bright plants as this one from lushome.com it really makes a great feature. 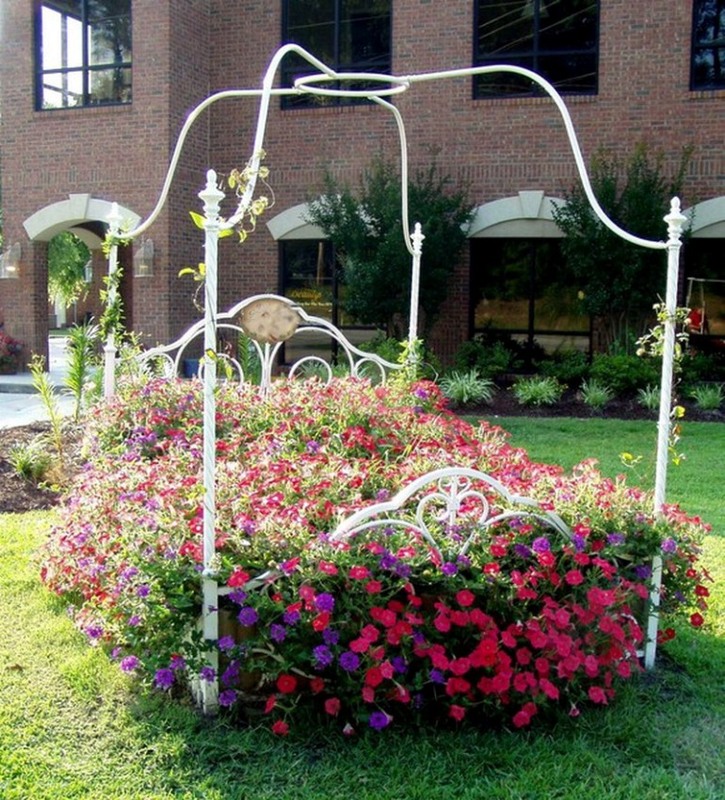 This old single metal bed from glamourdrops has been turned into a raised flower box. 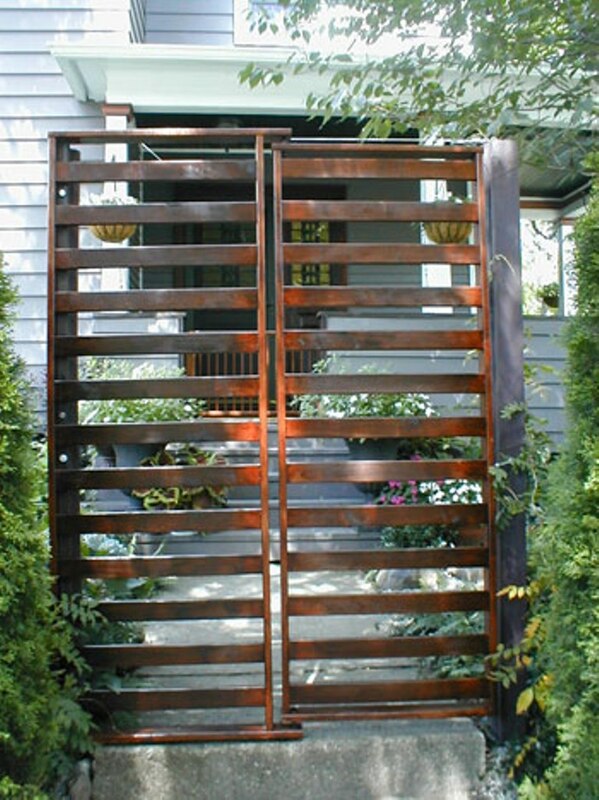 This repurposed Futon frame from Pinterest has been used as a garden gate and looks very imposing. 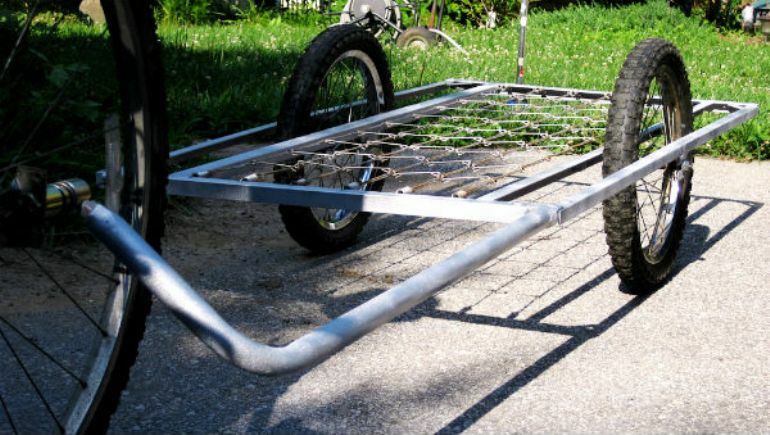 If you are looking for something to help you carry things around, what about this small bed frame from bikeshophub.com who have converted the frame into a trailer to pull behind a bike. We really hope that you liked our selection of recycled bed parts, which will inspire you to be creative. 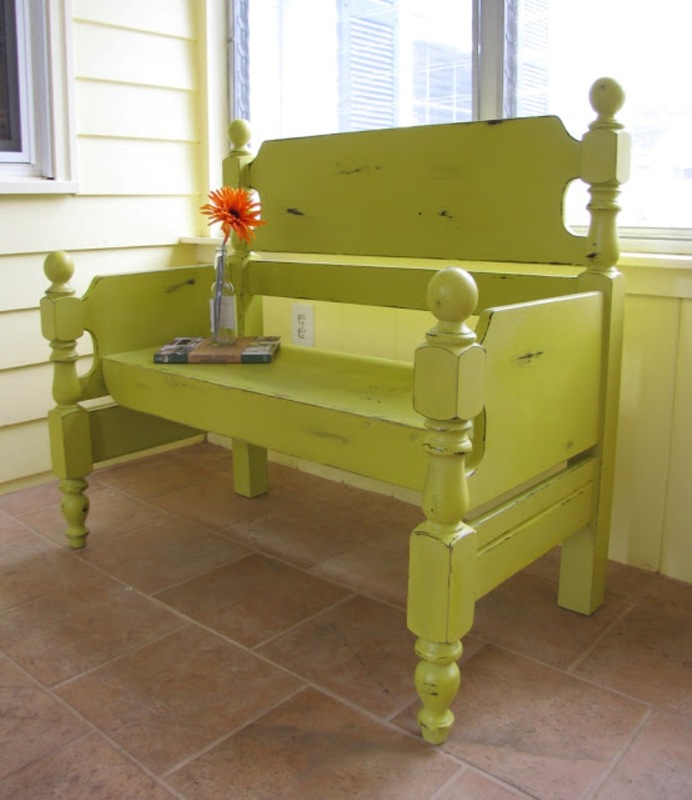 Why not find a use for the old bed that’s been stored and gathering dust in your garage? 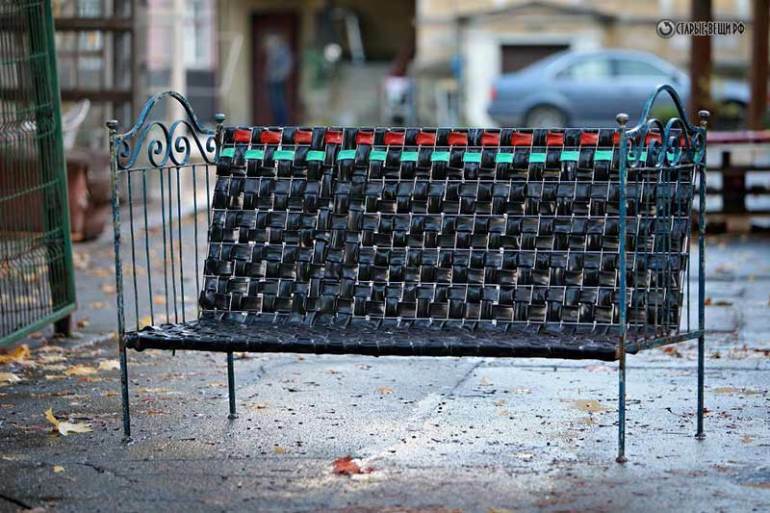 Be creative and get recycling your old bed for inside or out!